This week I am showing a little something that I made for my mom. She has been eyeing this fabric since I made a skirt for my daughter. Which you can check out here. So she decides she wants a gathered skirt. She loves a gathered skirt. I believe this is the 3rd one that I have made for her so far. I love a gathered skirt as well, they are so ladylike. Now here is where the indecisiveness comes in……she can’t decide which side of the fabric she wants the skirt to be made from. 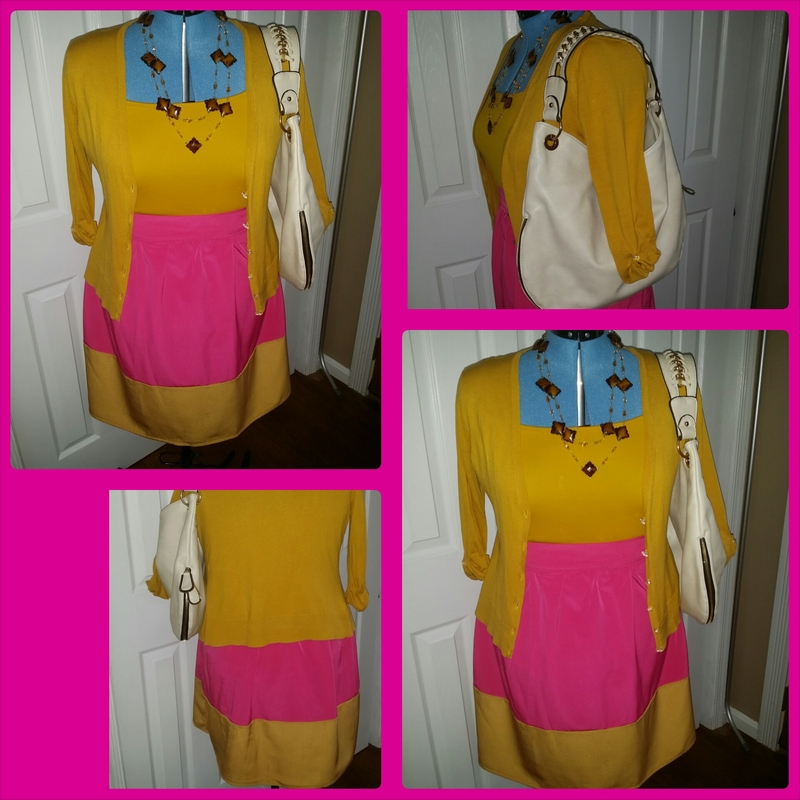 She goes back and forth for a while….then I say let’s incorporate both sides into the skirt. You will get the best of both worlds. She agrees and I am off and sewing. 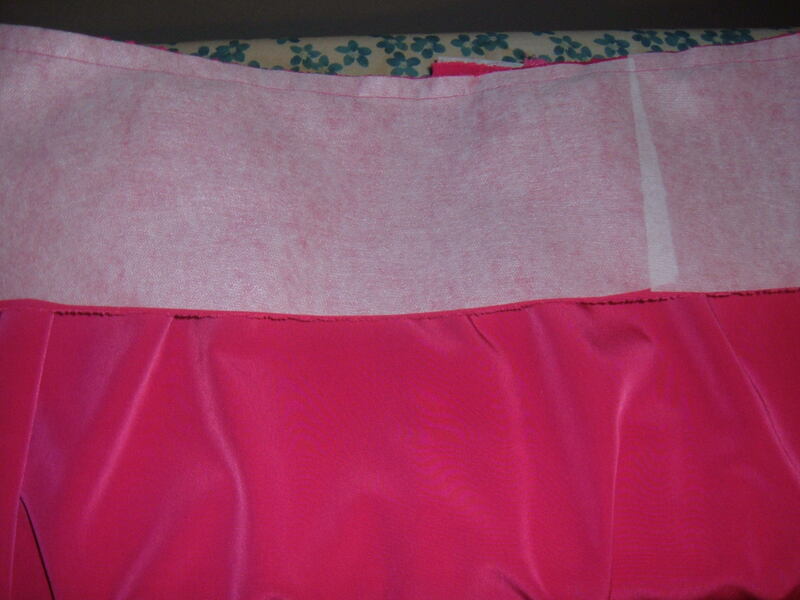 Within an hour and a half, the skirt is done. Here is the end result…………. To make this skirt click here. I have a step by step tutorial that you can follow. 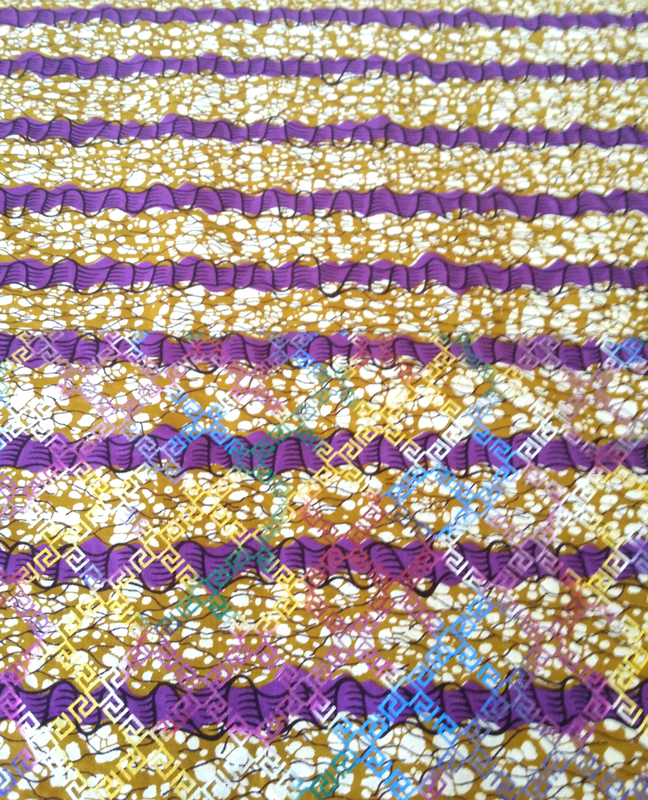 When I saw this fabric…..I just had to bring it home. It screams “Spring” and I knew it would make a cute skirt for my daughter. Plus it has her favorite color in it purple. 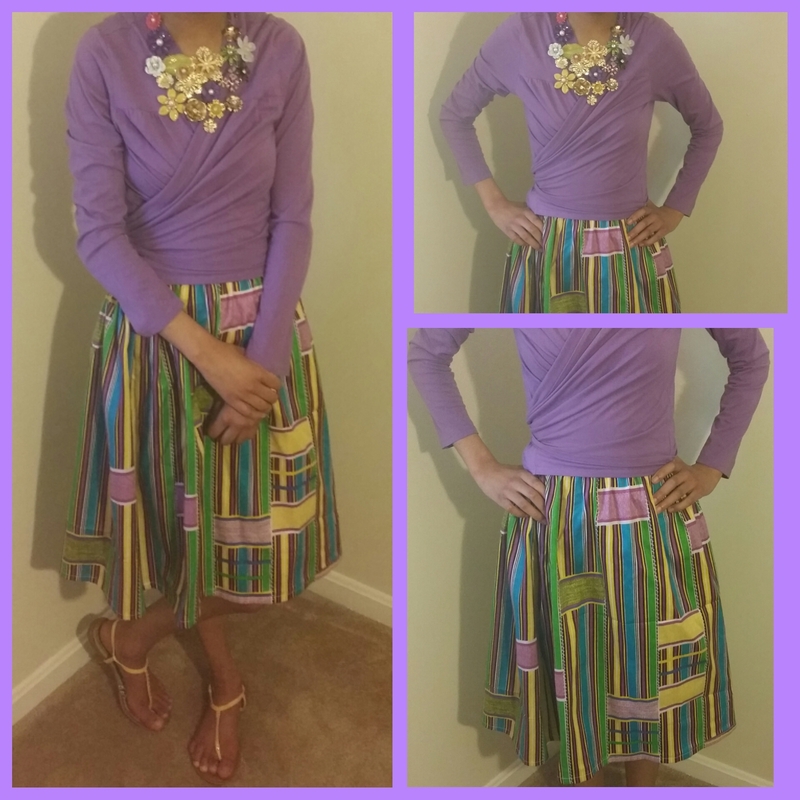 Elastic waist gathered skirts are sooooo easy to make. You can make one in an hour or less. To make this skirt check out a previous post here and you can also check out this skirt in another African Print here and here. Thank you for taking the time to stop by, it’s truly appreciated. Today’s post is all about my obsession with this skirt. This skirt originally retails for $830 and the sale price is $498. Both prices are out of my budget for a skirt. So I decided to make the look for less for an event that I will be attending in September. First I had to decide what type of fabric I wanted to use. My first thought was to use silk organza like the original. Then it dawned on me that if I was going to make this skirt, I wanted to be able to wear it all year around. 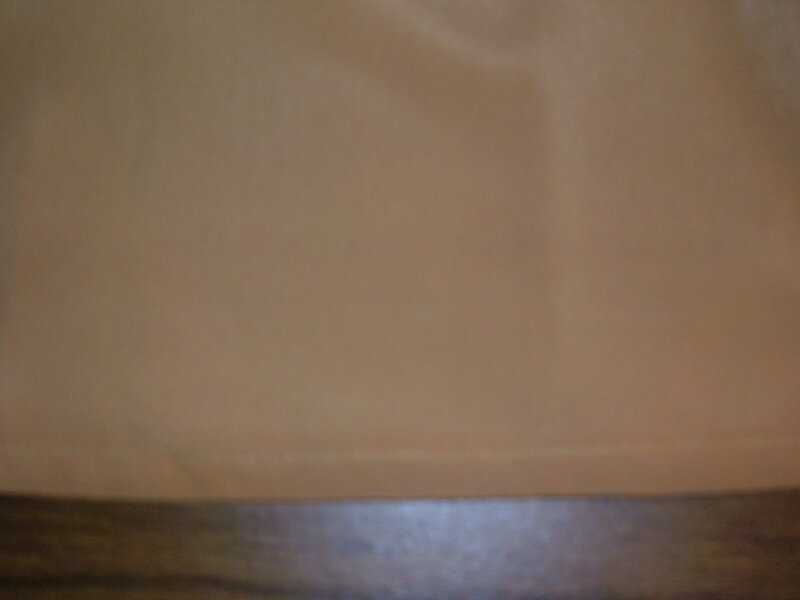 So I decided to go with Polyester Peachskin, which I loved working with. Now with the fabric chosen and purchased it was time to get to work. 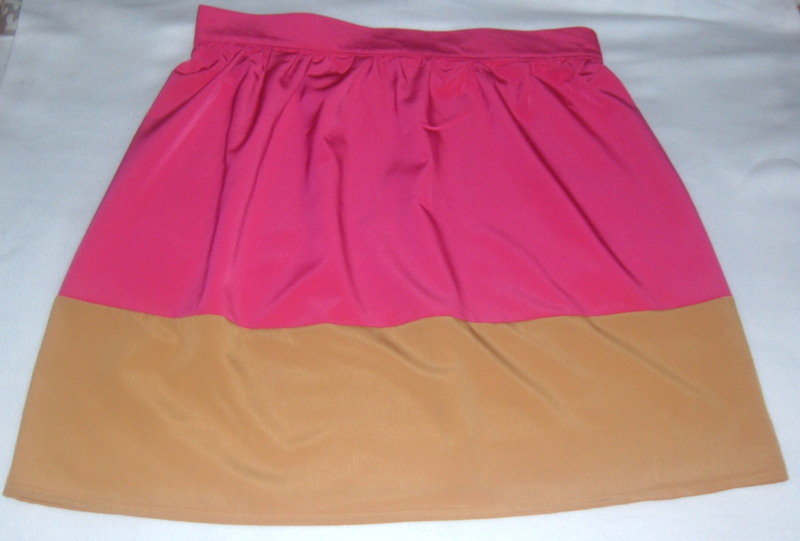 This skirt is really very easy to make. 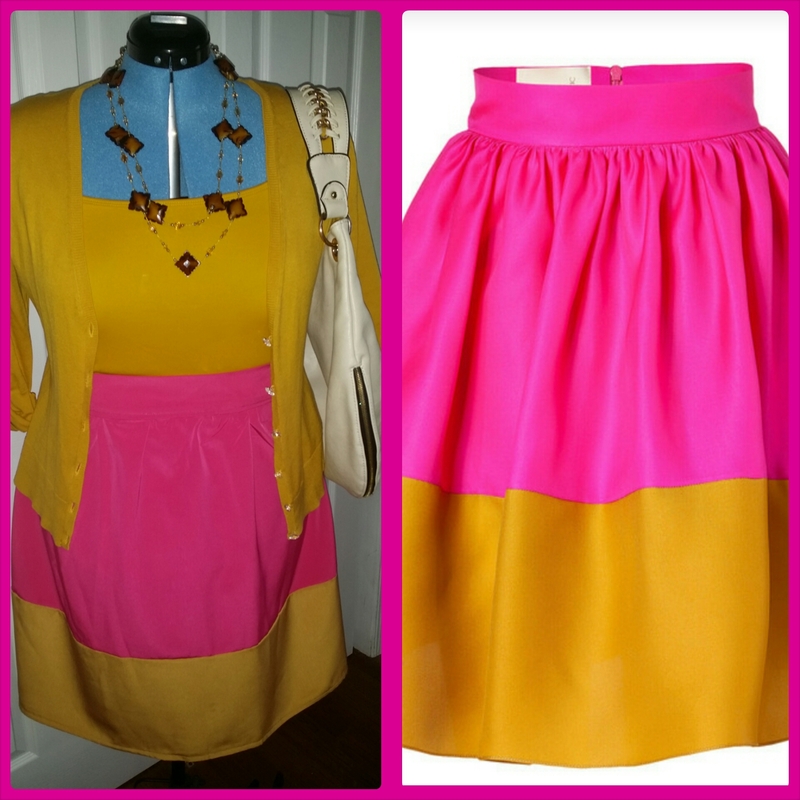 It just a simple gathered skirt that is color blocked. 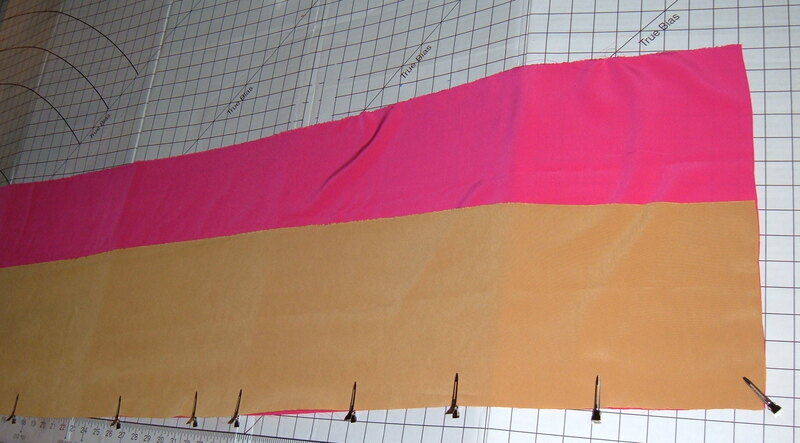 The majority of the skirt is going to be pink so I cut my fabric 16″ long by the entire width. 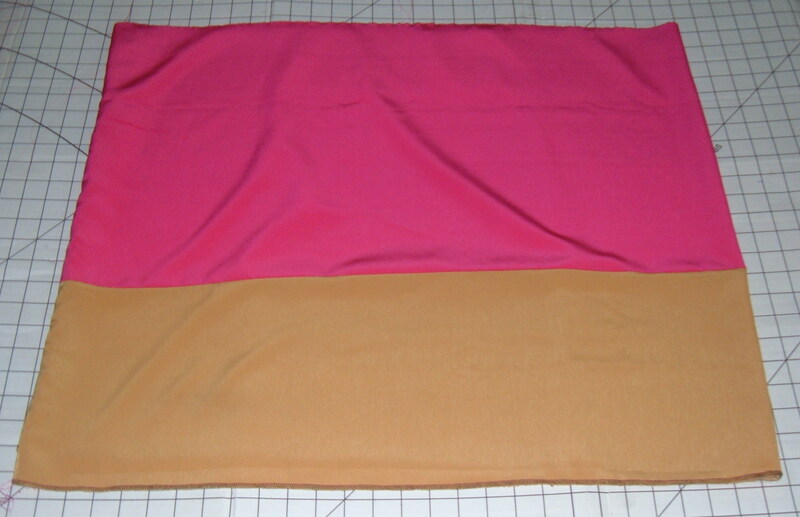 This includes 1/2″ seam allowance when attaching the waistband and 1/2″ seam allowance for attaching the mustard piece. 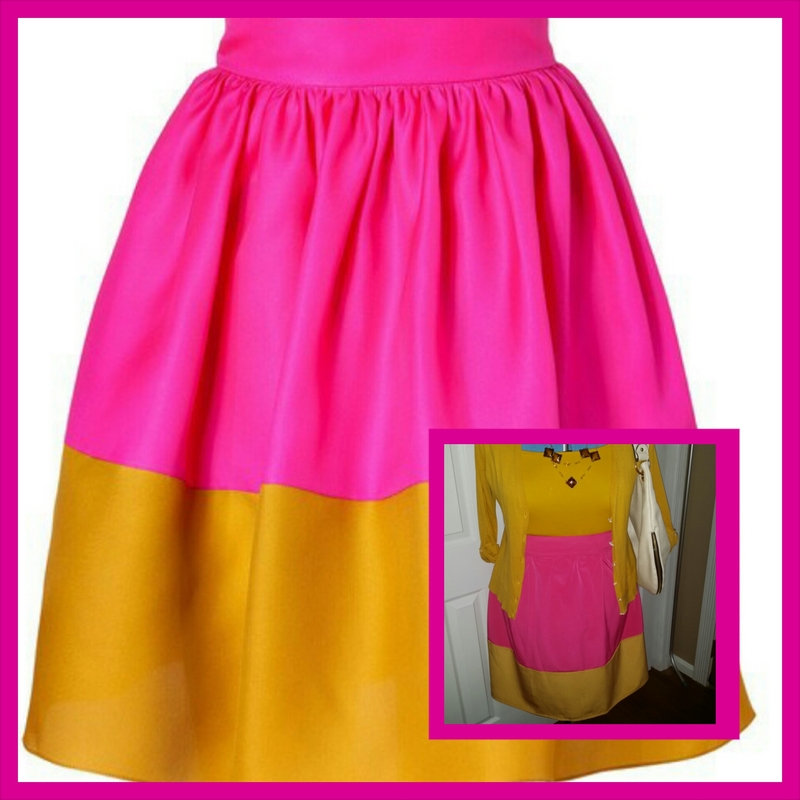 Next cut the mustard piece 9″ this includes 1/2″ seam allowance for attaching to the pink portion of the skirt and 1/2″ hem. Now it’s time to cut the waistband and interfacing. Take your natural waist measurement. 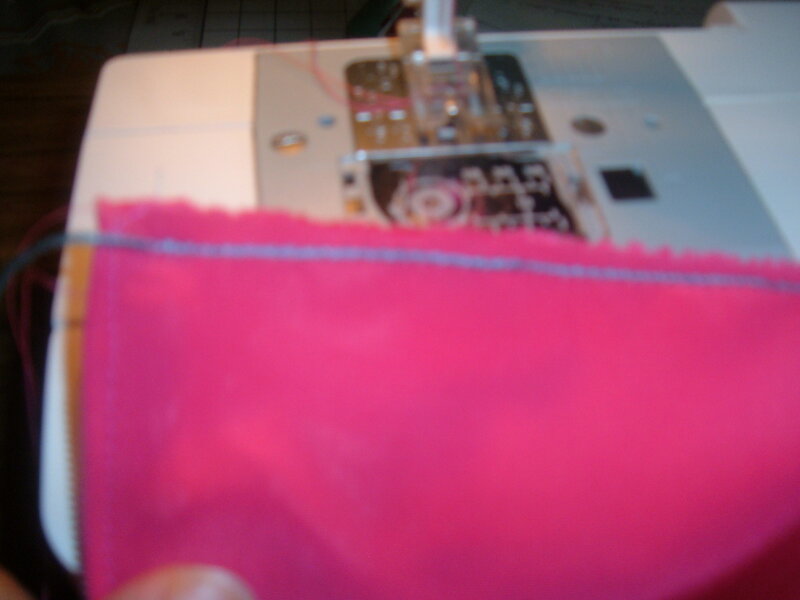 Then add 1″ of ease + 2.5″ for the waistband to overlap by 5″ wide. 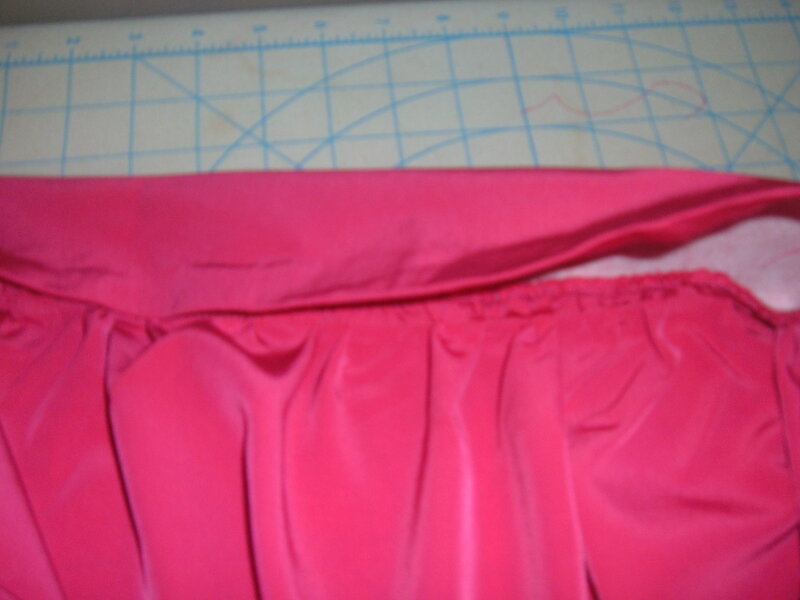 The 5″ width includes 1/2 seam allowance for attaching the waistband to the skirt. 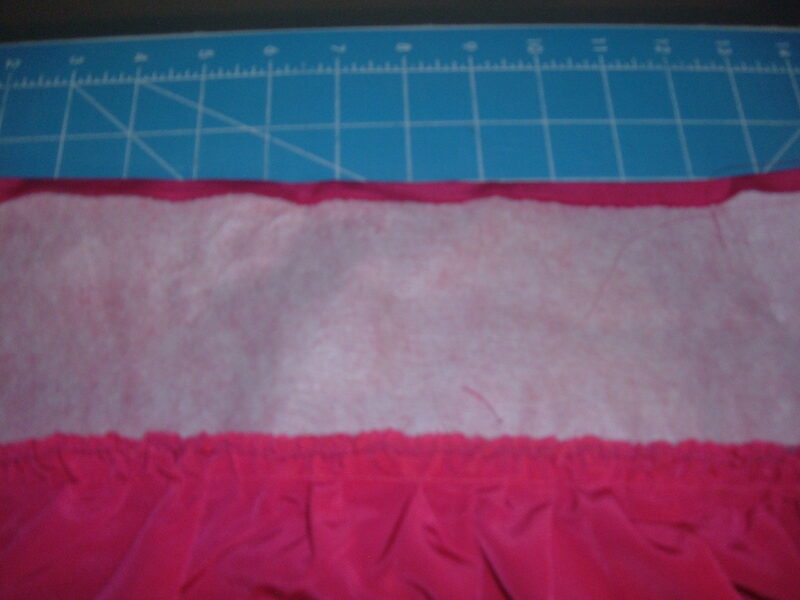 For a finished 2″ waistband. 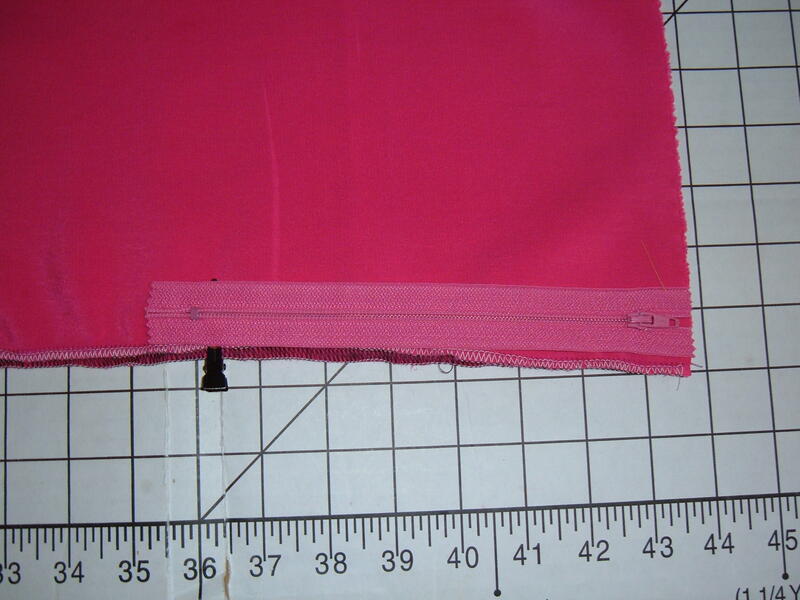 So my waistband was…..(34 (waist) + 1″ (of ease) + 2.5″ (for the waistband to overlap) for a total 37.5″ long x 5″ wide. Set the waistband portions aside for now. 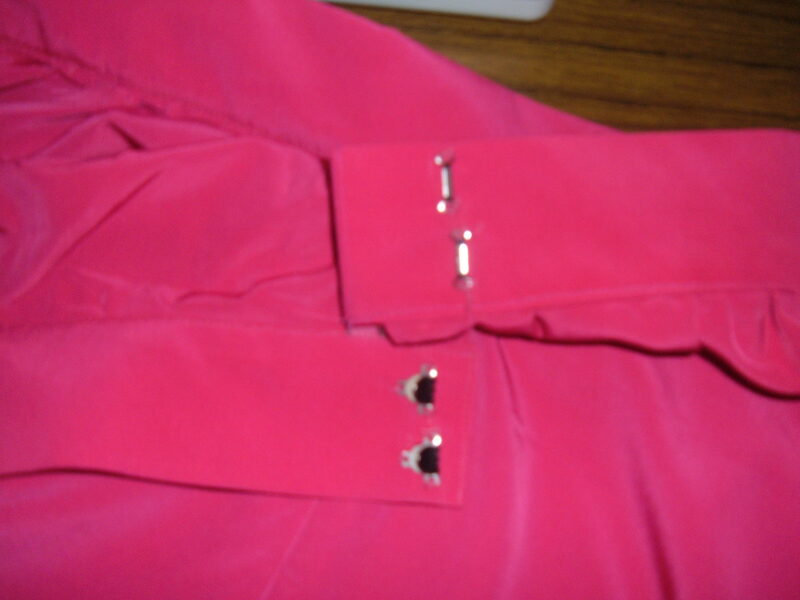 Take your main pink skirt piece and the mustard piece and open them up and lay the gold on top of the pink with right sides touching each other pin or clip like so. 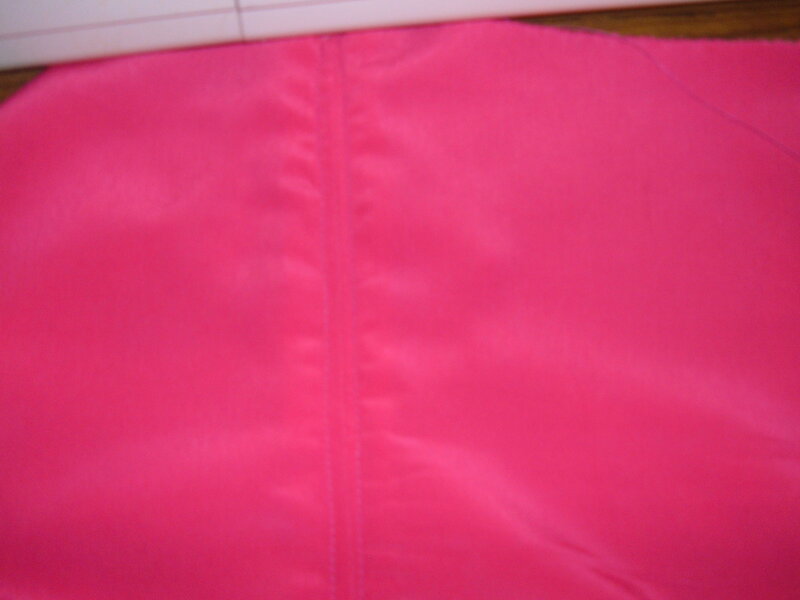 Here is the inside of my finished seam. I also serged the mustard bottom portion and the sides…..sorry forgot to photograph this step. 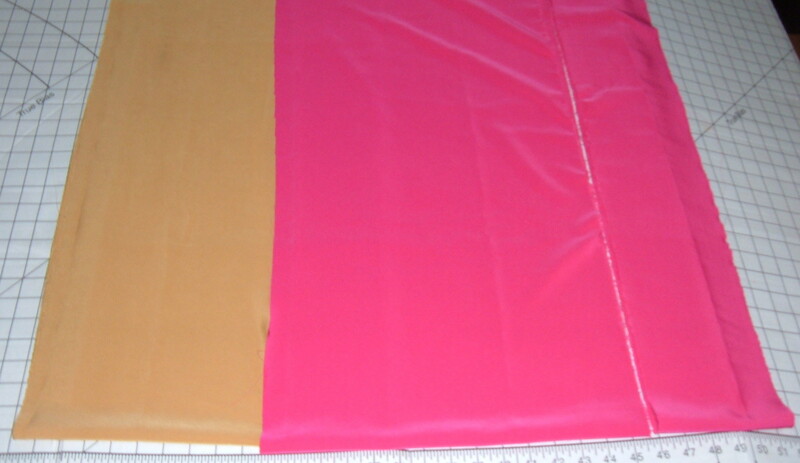 Now take this piece and fold it in half,(be sure the gold and pink match up, so it will be even when sewn.) 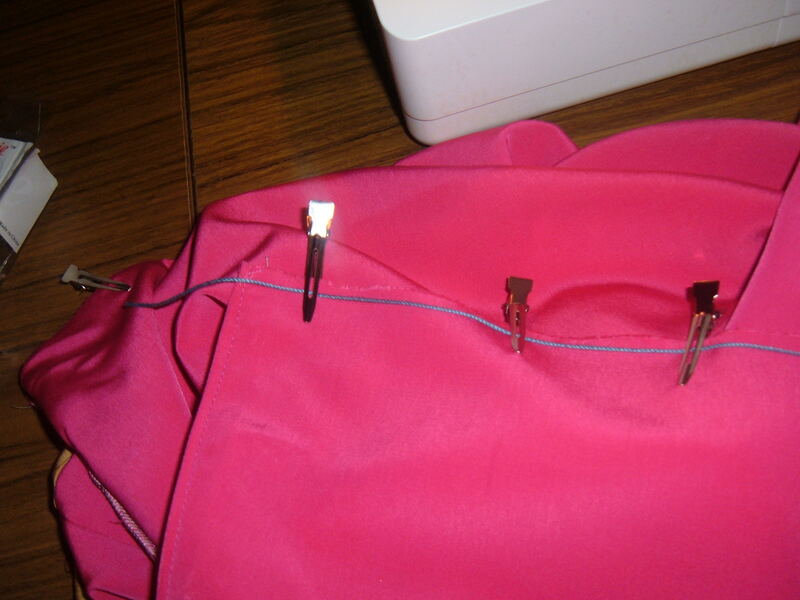 lay your zipper on top of the pink portion and mark or pin/clip just above the zipper stop like so. 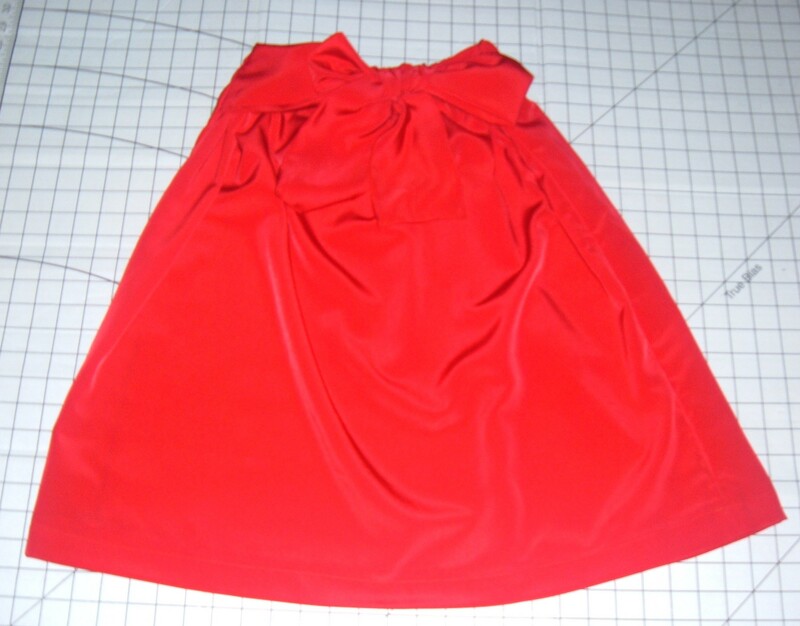 Now with the zipper marked you are going to sew from the bottom to the top with a 5/8″ seam allowance. Start at the mustard portion and work your way up. 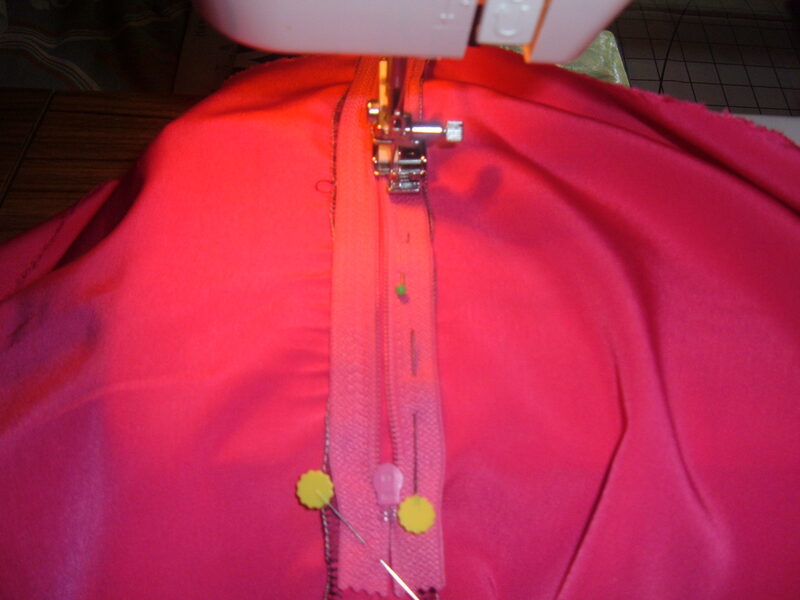 Once you get to where you made the mark for the zipper you need to back stitch and then do a basting stitch the rest of the way up. 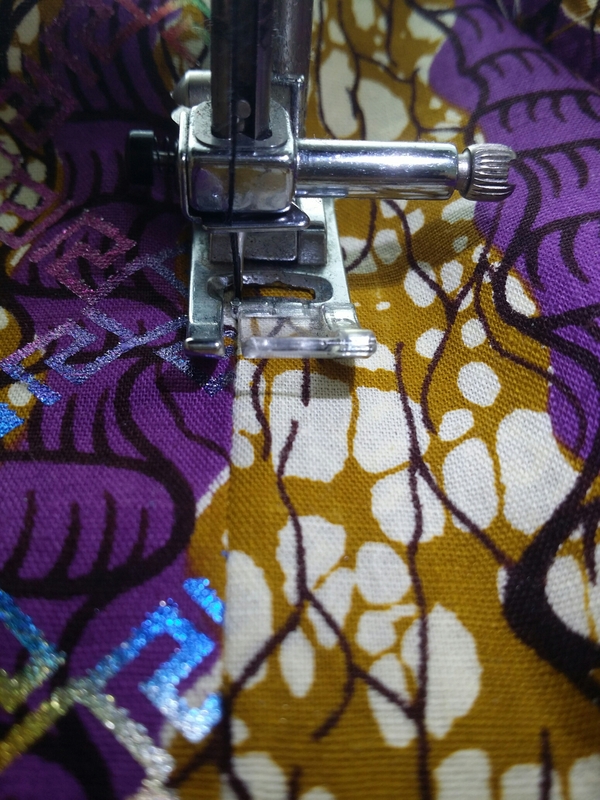 To baste simply change your tension to the highest setting, on my Janome that is 9. 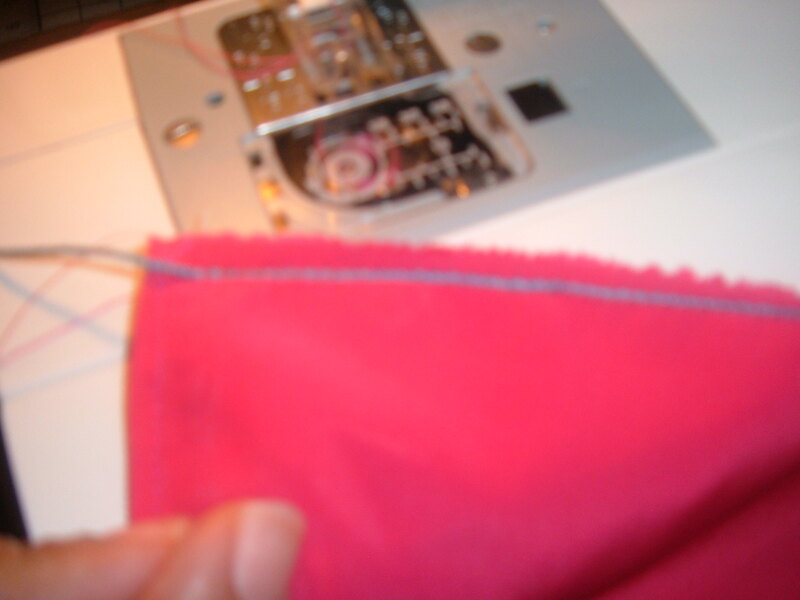 Basting is a loose temporary stitch. It should look like this. 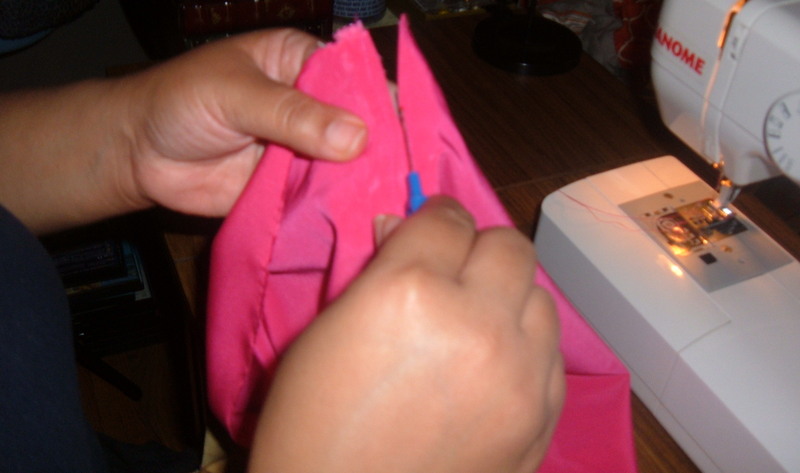 Now press the seam open to prepare to install the zipper. Here is a view of the right side of the tube you have just sewn. Take everything back to your sewing machine. REMEMBER to set your tension back to it’s regular setting and then put on your zipper foot. 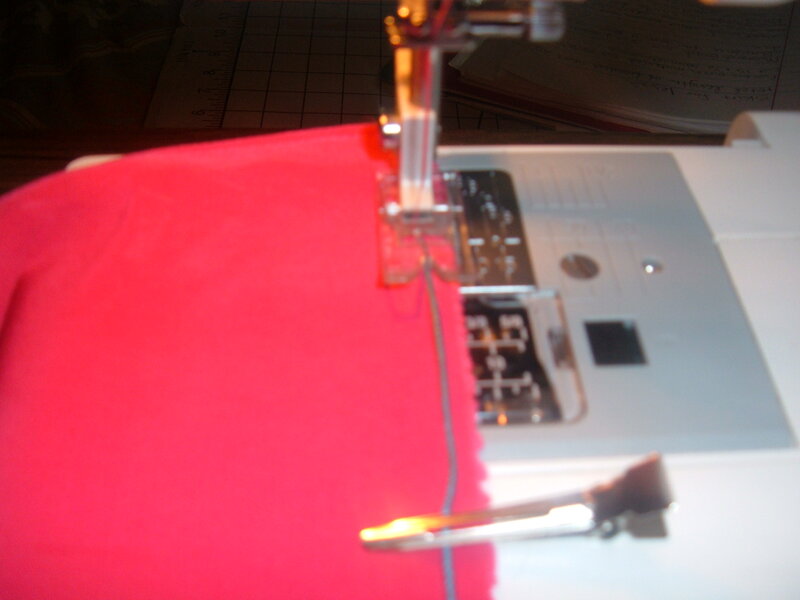 Sew each side of the zipper tape as close to the teeth as possible. Tada…….your zipper is installed and done. Next onto gathering the skirt. 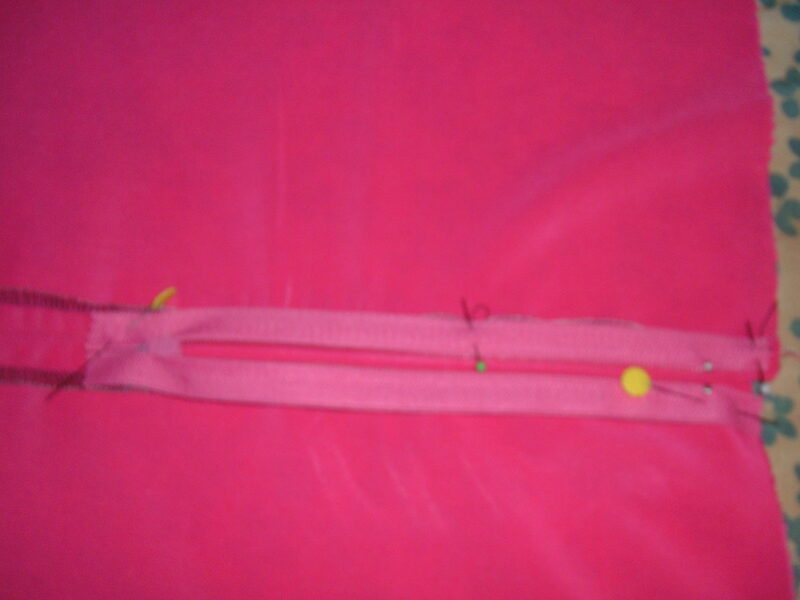 To do so, your going to take your crochet yarn and clip/pin 1/4″ from the top edge all the way around the skirt like so. 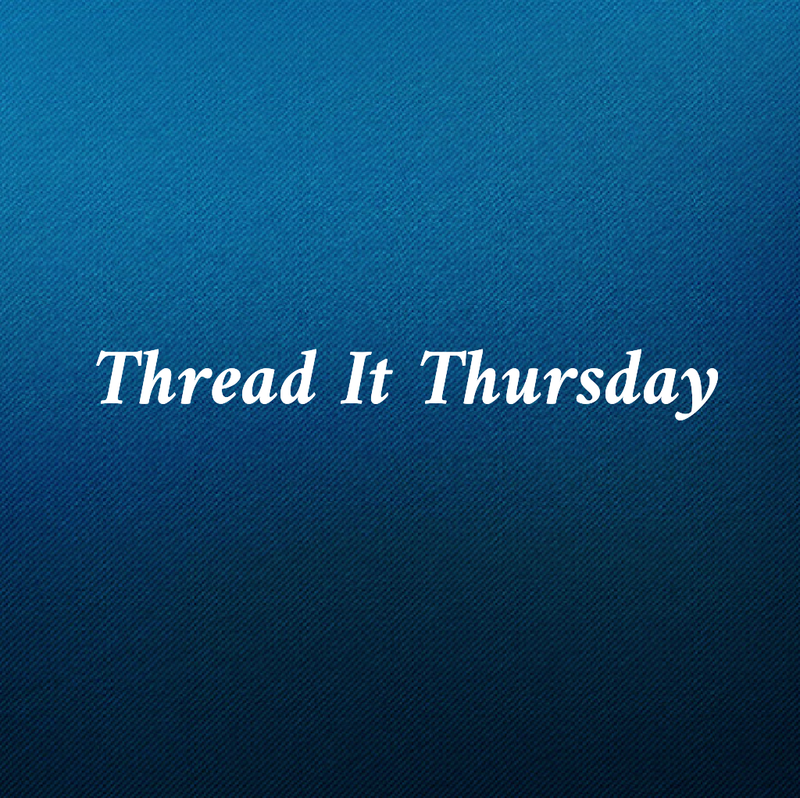 Take it to your sewing machine and zig-zag stitch over the string. 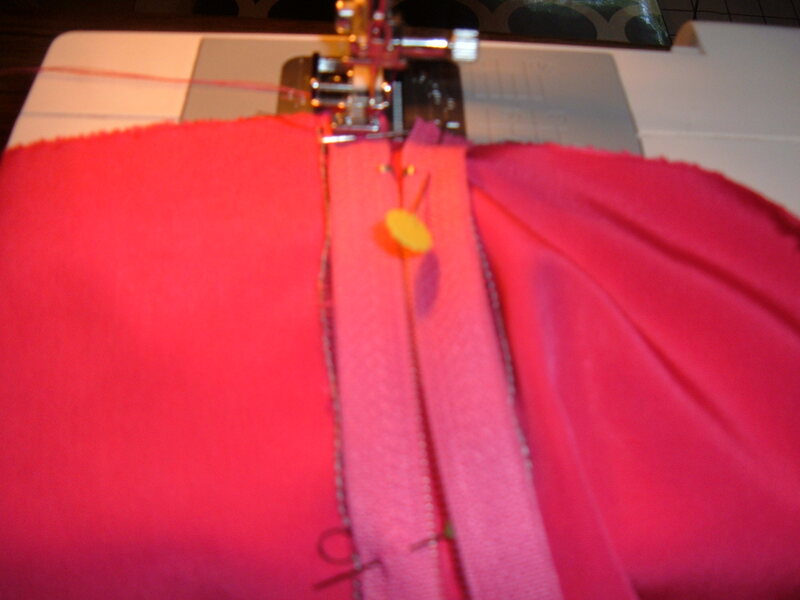 Starting a 1/2″ away from the zipper and stopping 1/2″ before the other side of the zipper. 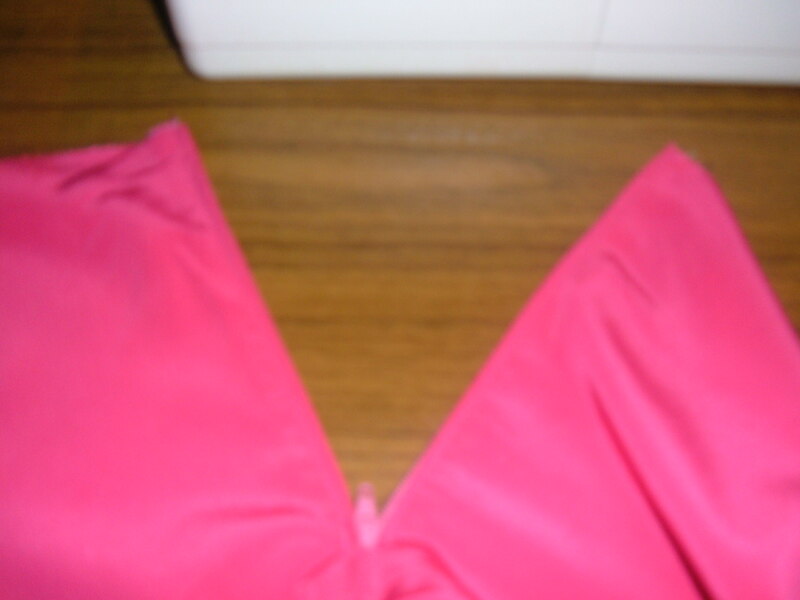 Now we are going to set the skirt aside and work on the waistband. 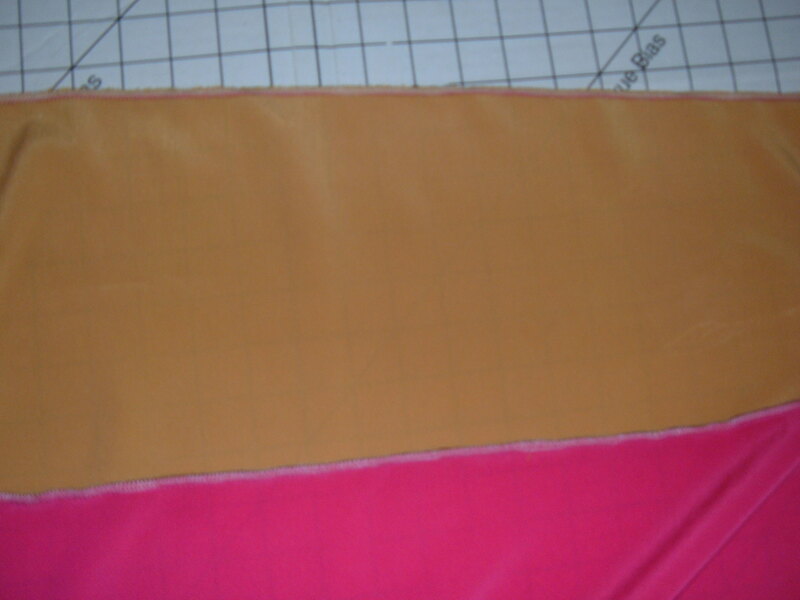 You are going to take the waistband fabric and apply the fusible interfacing to the wrong side of the fabric. 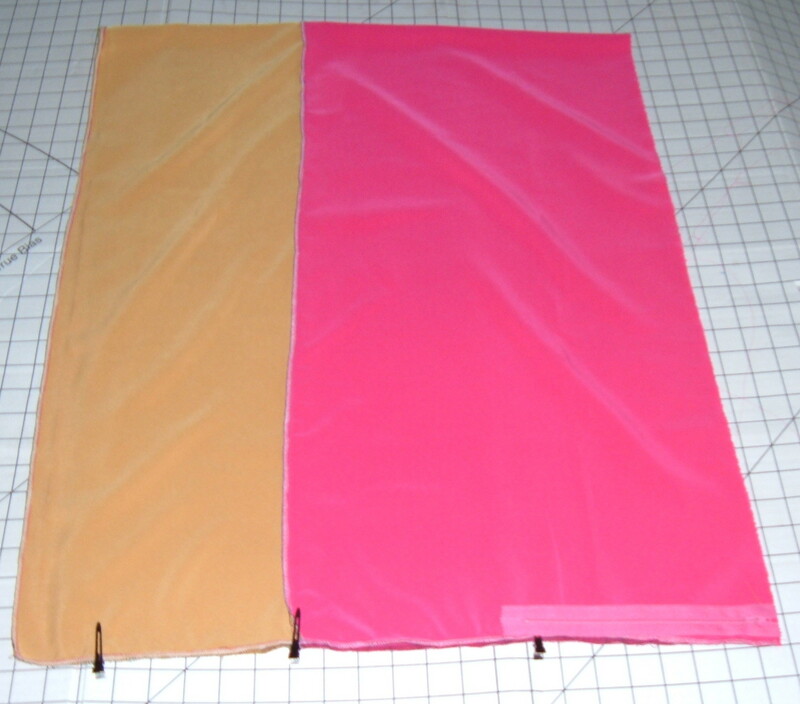 The technique I use to apply interfacing is this. I lay the fabric with the wrong side facing up. 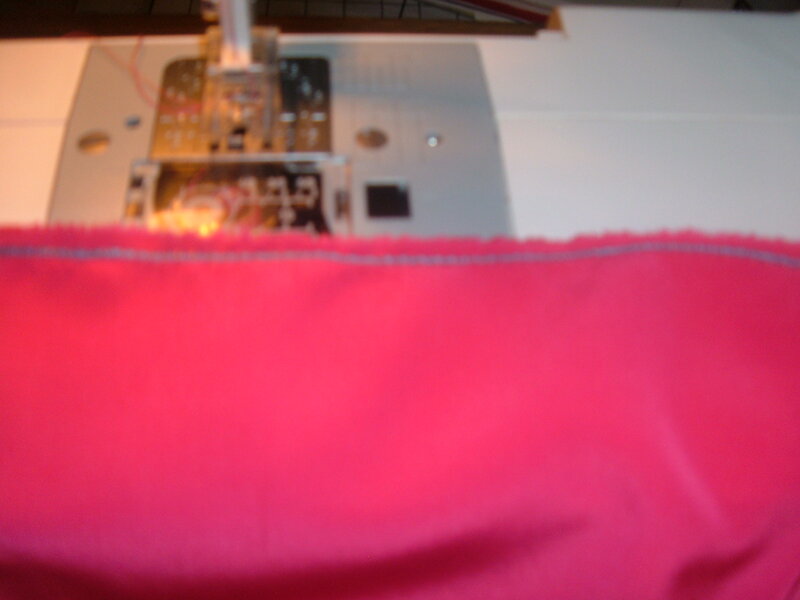 Lay the fusible interfacing face down on the wrong side of the fabric. Mist the interfacing with water, take a piece of muslin and lay it on top and lay your iron on top. 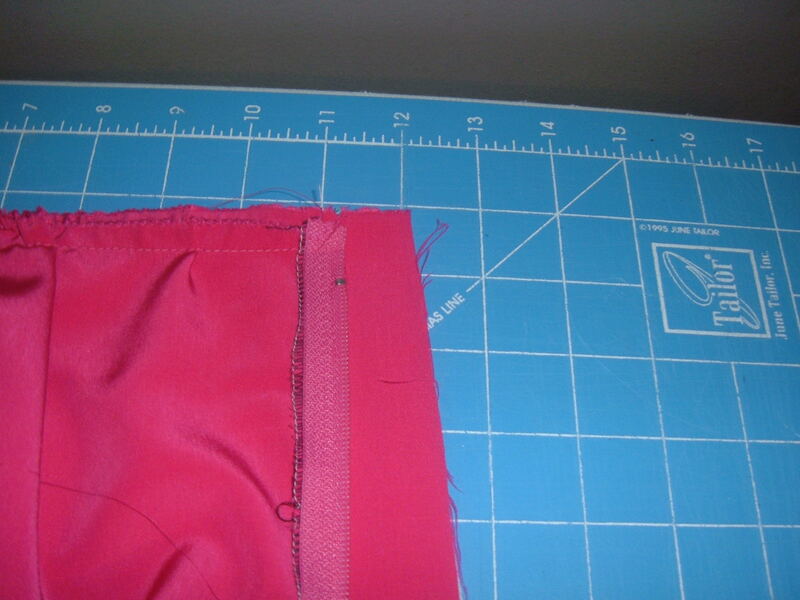 Work on each section like this until the entire waistband has been fused with the interfacing. Do not move the iron back and forth. Sit it on each section and rest it for 15-20 seconds and move on. One all done let the waistband completely cool. Once cool turn it over on the right side and give it a good press. This technique gives you a nice and smooth look. 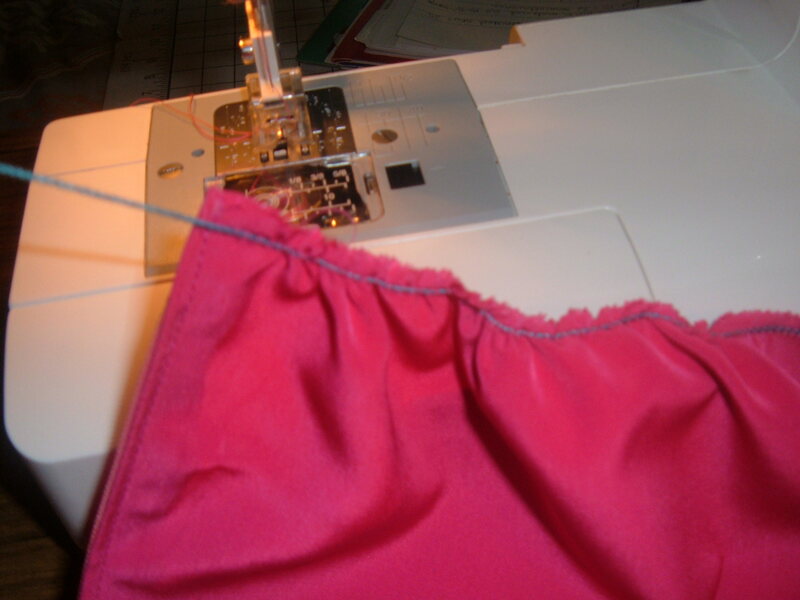 Press the waistband down, making sure that the seam allowance (on the inside) is facing upwards, towards the top of the skirt. Now, press the top, raw edge of the waistband 1/2 inch. 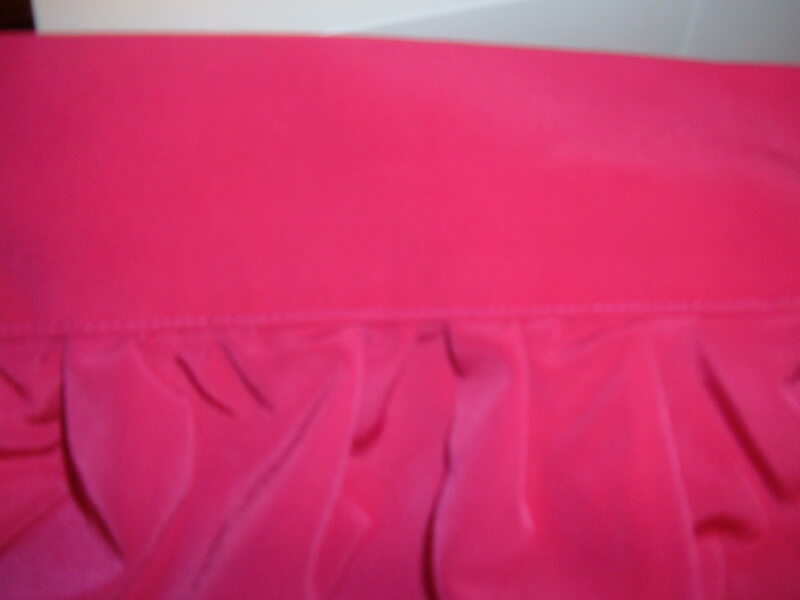 Then fold then entire waistband toward the inside of the skirt and pin so that the previously folded edge is sitting right on top of the seam that you used to connect the band to the skirt. Just give the skirt a good press and your all done. I am really excited at just how great this skirt turned out. I am more excited to share this with everyone!!!!! The original version is $498. My DIY version cost me $20.00. I will take spending $20 over $498 any day. 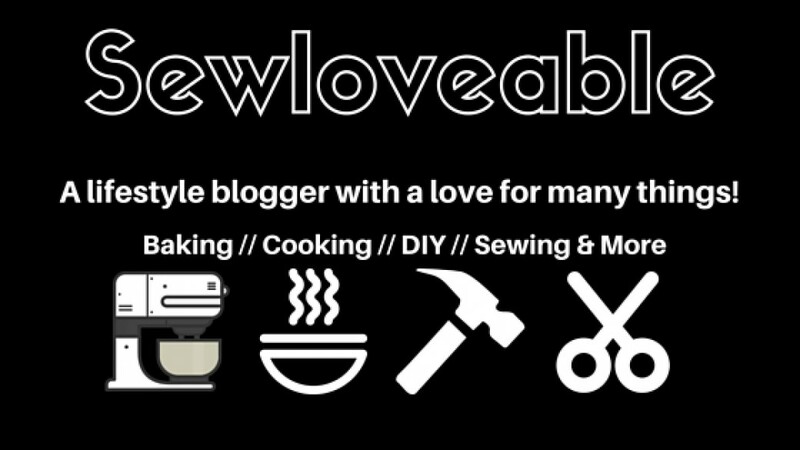 Enjoy, Happy Sewing and feel free to ask questions. Hello all today I wanted to share my latest creation. I have recently become obsessed with African Prints. I just love how colorful and geometrical they can be. 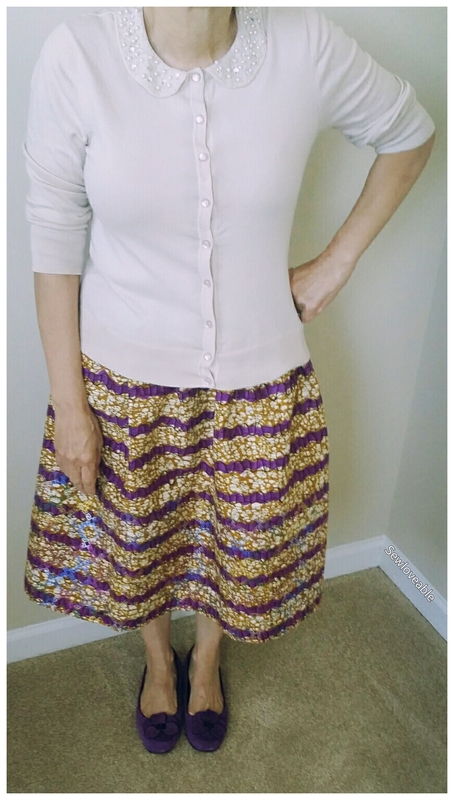 So I decided to make a simple lined gathered skirt out of a wonderful fabric from my stash. This giveaway will run from August 5, 2013-August 12, 2013. With the winner being announced on August 13, 2013 @ 1 p.m. est. To enter just leave a comment choosing the pattern that you would like. Congratulations in advance to the 2 wonderful winner’s to be. Please feel free to share this giveaway across all the social media sites and blogs. Thank you for entering.